The APA continues to work with ports, the shipping industry, and other stakeholders to provide the safest and most efficient marine pilotage service possible to Atlantic Canada. What are compulsory pilotage areas? What vessels are subject to compulsory pilotage? What is a Federal Crown Corporation? Throughout history and up to the present day, the diverse and challenging coastline and waters of Atlantic Canada have defined the character and development of the region. Marine pilots have played a major role in this development in the past, and continue to do so today. 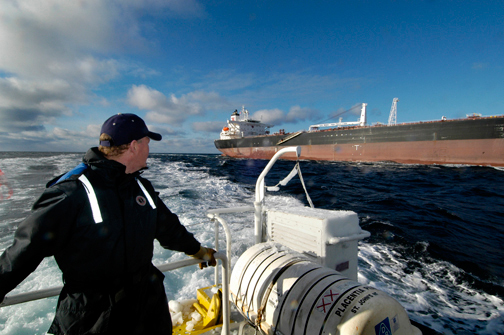 The Atlantic Pilotage Authority (APA) provides a valuable and necessary service to the marine community in Atlantic Canada. The highly skilled marine pilots employed by the APA make a vital contribution to the protection of the environment, to safeguarding the lives of mariners, and to preserving and promoting the economic wellbeing of ports in Atlantic Canada.